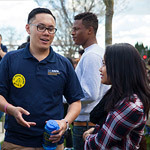 Get to know UC Davis better! Our top-ranked university is best experienced in person. A visit to campus is the perfect introduction to our welcoming community, inspiring academics and engaging college-town life. 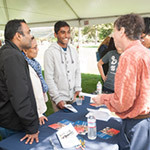 Discover UC Davis is a free career planning event for first-year students at any of our Transfer Opportunity Program (TOP) colleges who are interested in earning a university degree. Decision UC Davis is our open house for admitted students and their families. 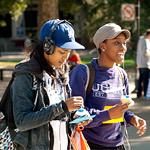 Held in October, UC for You events introduce high-achieving high school seniors to the University of California and present information about the UC application. 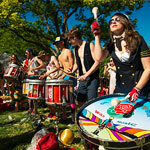 Picnic Day is our campus’s annual, student-run open house, and everyone is invited. Attending Picnic Day is a great way to experience our community first-hand. Finally, you can visit us for an admission presentation and campus tour any time of the year. We hope to see you on campus soon!